Podcasts really took off in 2017 and subscribing to the best social media podcasts is a convenient way to stay on top of developments. Let’s face it, it is going to be an intense year with all the changes social media platforms are rolling out. This list has all the details on what the best social media podcasts provide and how they can help you with your career. Learn from the best with a wealth of actionable tips and tricks, many tried and tested by the biggest brands in the world. Finally, I’ve shared my favorite of the most recent episodes. Format: Stories and interviews with experts in a specific area. Duration: Most episodes run around 40 minutes. One of the best social media podcasts available right now. It has a holistic approach and contains interviews, discussions, strategies, and more. There’s also an excellent blog post supporting every episode which takes some of the pressure off my memory. Personally, I have trouble with the dodgy Australian accent framing the episodes, but this is my issue. This is essential listening just for the opening tips with the latest app, website, or feature you can use immediately. You might not use every discovery but this is where I first heard how easy it was to make images, gifs, and infographics with a little tool called Canva. Jump in point: December 8th, 2017: Visual Personal Branding: How to Build a Loyal Following With Images. This is a good episode to re-visit in the aftermath of the News Feedocalyspe. Format: Hosts reveal outcomes of various experiments. Some special guests. Duration: Usually around the 15-20 minute mark. Review and wrap up episodes run longer. 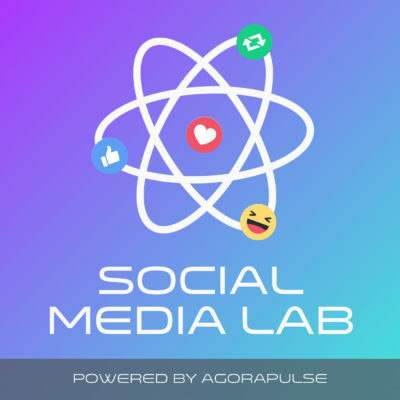 Social Media Lab is a new podcast married to AgoroPulse and their website. 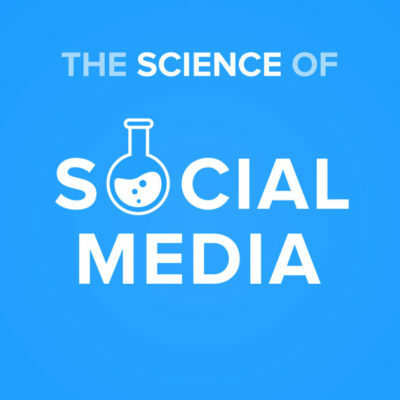 It is on the list of best social media podcasts because it tests ideas about what will work on social networks. So much of social media work is gut instinct because we all have ideas about the algorithms and the best recipe for achieving more reach. This podcast is an initiative that takes the most popular theories and seeks to ‘crack’ the social media code. Lucky for us they are nice enough to share the results with the wider social media community. They also take requests. Brilliant. Jump in point: Again, in light of the FB News Feed change the 6th Feb episode on re-publishing evergreen content is essential listening. Hosts: Hailley Griffis, Brian Peters, Kevan Lee. Frequency: Weekly, but some special episodes can appear outside this schedule. Format: There’s a good mix here, Brian and Hailley are constants but they might present stories, share things that inspire them, interview experts or provide insights and test results. Duration: Ranges between 10-20 minutes with some special episodes outside the range. Buffer’s podcast provides a breezy discussion oriented podcast with all of the latest news and views from the social media industry. This is a great podcast for the deep dives they take into all the big news. You are also going to find some detailed insights into changes to algorithms and features. This is one of my favorite podcasts because they also provide details on books you can read for inspiration – and they still somehow manage to keep it tight and under 20 minutes most weeks. 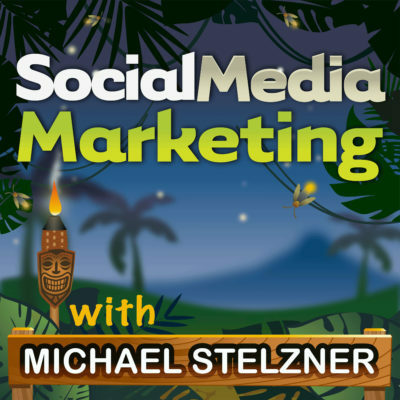 Jump in point: Personally, I loved episode 62: Top 9 books every Social Media marketer should read. I’ll also make mention of Episode 84: Instragram Marketing Growth: 3 Proven Tactics to Grow. Duration: From 20 minutes to an hour. This is one of the best social media podcasts because each episode is built around an actionable tip. If you are looking for actionable ideas then start with this podcast. 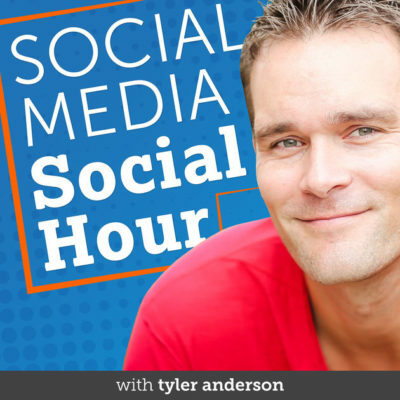 Tyler Anderson is a social media entrepreneur and he has access to some of the biggest brands and influencers. Each week he is joined by a guest to discuss social media, tech and all facets of online marketing. You will get access to some great tools and strategies that are used by his agency in their day to day operations. Great not just for social media management, but also productivity and content marketing. Jump in point: 23rd February’s “Social Media Marketing Strategies That Work Right Now“. Hosts: Jay Baer and Adam Brown. Duration: 30 minutes to over an hour. The tagline is “real people doing real work in social media” and this show is like an access all areas pass. Jay Baer is a legend in marketing circles and this gives him great access to the most interesting brands in the world. This means you can grab the inside skinny on what brands like Ford, IBM, and ESPN are doing. You are going to grab some awesome strategies and pick up a few secrets from the teams setting new standards in social media marketing. Jump in point: 6th October 2017: Why cartoons outperform every content format and 2nd March 2018: How to make social videos worth watching. Frequency: Ranges from 6 days to two weeks. Duration: Ranges from 20 – 55 minutes. I included this for the Hubspot users. This is just one of Hubspot’s podcasts and it is the most valuable from a social media perspective. 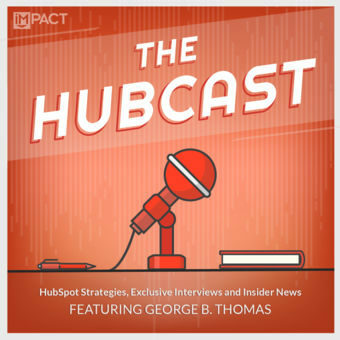 Hubcast is driven by interviews and discussion, and you sure won’t miss any news about Hubspot. However, there is still a lot there for you if you use different tools. They share details on free tools as well as some of the best strategies you can employ in your own work. If you do use Hubspot then you need to sign up now to hear the best tricks and tips for the tool. Jump in point: Hubcast 164: Pillar Templates, GDD, and Dead Keywords introduces the concept of growth driven design with some actionable tips. 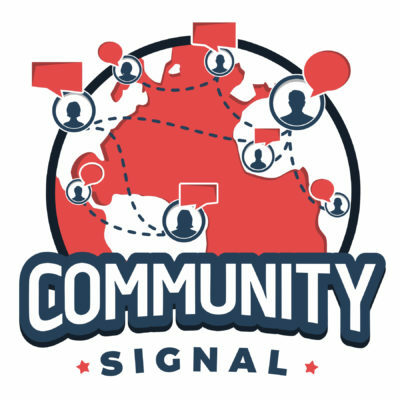 Format: Interviews with community managers from a broad range. Big brands are represented, like Ubisoft, to influencers and authors, like Jared Smith. Duration: Ranges from 20 – 45 minutes. The social media landscape is inherently community focused, and this will be more accentuated in the light of algorithm changes and scandals. This is the best social media podcast focusing just on community. 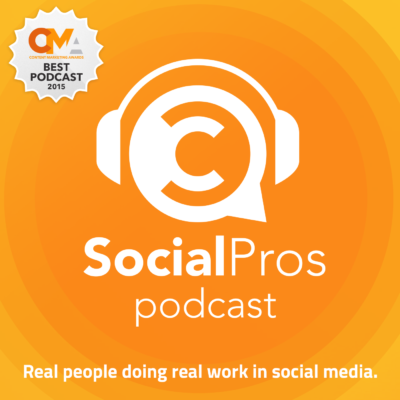 This is absolutely essential listening for social media managers because you are going to hear from marketers that excel in online communities. The host, Patrick O’Keefe, has extensive community managing experience and he brings incredible contacts to the table. All the guests have insightful stories from diverse industries like gaming, Lego, or luxury handbags. Jump in point: 12th February Why Ubisoft created a community content team is a pretty good tip on how to approach your communities in the days of declining reach. Frequency: Weekly, but it has been on a break for the last month. Format: Discussions or chats. A chat with an expert over a beer brings a relaxed format that is an enjoyable break from traditional interviews. Duration: Ranges from 30-50 minutes. 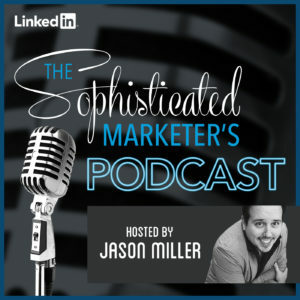 Learn from the accidental marketer with this relaxed podcast. The changes to Facebook’s algorithm have made this a crucial podcast. 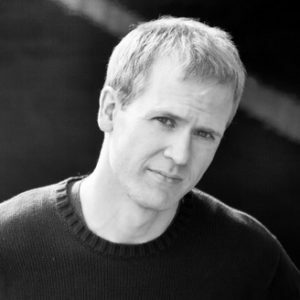 Jon Loomer is a Facebook ad wizard who built an incredible business around this expertise. Now he shares his Facebook marketing tips with other industry experts in a relaxed beery atmosphere. This is also a great two-fer podcast with tonnes of tales for entrepreneurs. All the true tales of the ups and downs in building a business from your ideas. Jump in point: The Myths of Facebook Business Manager goes through all the features and fears of the tool. Hosts: Keith Krance, Molly Pittman, and Ralph Burns. Format: Interviews and discussions with social media managers and advertising experts. Duration: Ranges from 30-45 minutes. In the post-News Feed world Facebook ads will become even more crowded. Perpetual Traffic is an essential resource for you going forward because it contains the best tips on Facebook advertising. You will also be able to find some tips for other channels like YouTube, Twitter, Google AdWords, LinkedIn and so on. This is one of the best social media podcasts for people just moving into Facebook advertising (and you probably should be). Jump in Point: February 20th episode on How to Optimise and Scale Facebook Ads contains guidelines and results from rigorous testing. Get the skinny on the pitfalls to avoid and takeaways to make scaling campaigns better and easier. Frequency: Weekly with some bonus episodes. Format: Discussions, case studies, and interviews. Duration: Wide, wide range from 9 minutes to over an hour. 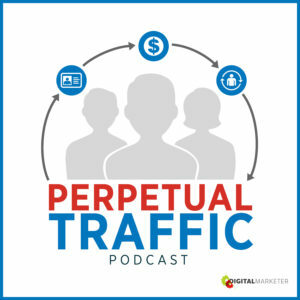 Simply put, this podcast has the best of everything: paid traffic tips, tactics, and strategies for creating leads and making sales. Covers all the major channels like Facebook, YouTube, Twitter, Google Adwords as well as the strategies like retargeting, creating funnels. A few great tips on writing good ad copy. 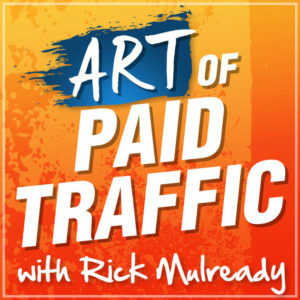 A wide reaching podcast that covers all aspects of paid marketing. Jump in point: Episode #182 the case study of a targeting strategy that turned $223.50 into $46,000. Format: Mixture of interviews, discussions, step-by-step guides and masterclasses. This is an incredibly diverse podcast which almost gives you a new degree in online marketing. 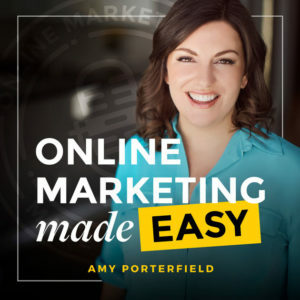 Amy Porterfield’s podcast has the best structure of all the social media podcasts I listen to. Amy is going to become your new best friend with her mix of mini masterclasses and step-by-step guides. After listening to one of these podcasts you will walk away with ideas that you can implement immediately. This is another of the best social media podcasts with a strong entrepreneurial flair; great for anyone building a business. Jump in point: Episode #187 How to use Pinterest to generate traffic and profits because few other podcasts have talked about it. Fewer still have given such great tips. Check out the collections here. Frequency: Bi-weekly but with multiple episodes dropped on the same day. Format: Mixture of interviews and discussions notably they are conducted with an incredibly wide range of people. Duration: Anywhere from 15 minutes to an hour. This comes from LinkedIn but it is brash and to the point. Miller covers trending topics but also has broader social stories in there like the slow journalism movement. There are really valuable tips on improving presentation skills, dealing with difficult colleagues, as well as an interview with Jay Jay French from Twisted Sister. This is one of the best social media podcasts because it is the podcast on the edge. Jump in point: March 12th episode with Mark Schaffer and the hard truths for content marketers and the way to move forward. Well, that’s my complete list of the absolute best social media podcasts available right now. If you would like to recommend a podcast I missed, drop me a comment and share the details. Bonus points for anyone willing to share their favorite episode! The post 12 of the Best Social Media Podcasts to Follow if You Want to Stay Ahead of Trends appeared first on Revive Social.